Thanks again for all the information, khj. Currently the Stable Gibbons South America catalog is sold out int their website though I found an older version (1989) available on amazon. Toying with the idea of buying if for no other reason than to identify some of these south American stamps not listed in Scott. I was not able to locate that research paper on the Venezuelan revenues. However, the Venezuelan fiscals shown in this thread are documented in the Witt Collection of cinderellas. Here are links to 8 pages from his collection. I found this one today and am curious about the cancel. I presume it to be Romania Scott 264 (King Ferdinand). Did someone or maybe lots of people not like him??? No gum, so it was likely was used for postage. hmmm to be honest i dont realy know.. but based on the almost perfect placement of such a heavy mark i would wonder if it is an overprint and not a cancel. This German stamp has the network watermark (Scott calls it watermark 126). However, I was expecting the stamp to be two colors (pale rose and carmine) and be scott 181. However my eyes can't tell if there really are two colors here or not. Can anyone tell? I don't see any background color. Here is a used one with background color for comparison. EDIT: I think the background color has been washed out on yours. The background color consists of little stripes and i think I see the edges of the stripes on yours. 1. The background of the post horn and the numbers should be completely white, but not the rest of the lettering. 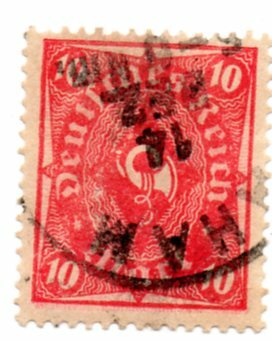 In your stamp, the post horn and numbers are completely white; however, if the pale rose was missing, the background of the "DEUTSCHES REICH" and "MARK" should also be white; but you can see very light coloring in those. It is not due to color run, because then the numbers and post horn would be affected as well. 2. There should be parallel lines (corresponding to pale rose color) in the stretched triangles along the frame. It looks to me like you can see the residual horizontal lines in the triangle at right. Also, although not clear to me, but in YOUR picture there might(?) be some vertical lines hanging down from the bottom frame -- if so, then it looks like the pale rose color was actually misregistered by ~1mm downwards. You can clearly see the pale rose in Butterflies' pic. So test out Butterflies' pic 1st to see what I am referring to in the checkpoints listed above. Last Edit: Nov 8, 2013 10:54:42 GMT -5 by khj: I see that Butterflies has edited post to reflect similar conclusion. Thanks Butterflies and khj, I'm not familiar enough with these issues yet to know what to look for. Now I know I can go ahead and mount it into the right place in my album as a scott 181. My feeling it is a killer cancel. Like the cork cancels used in early USA and Canada. 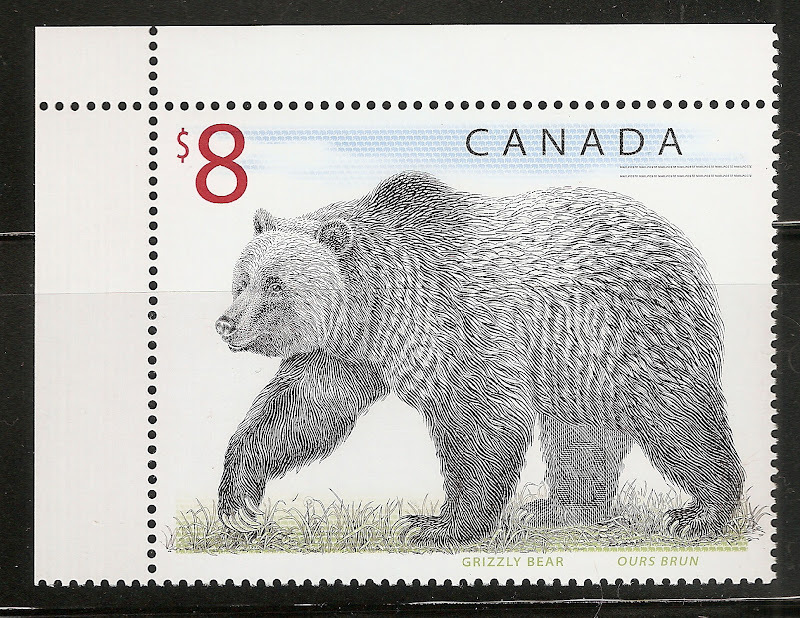 The aim was to deface the stamp so that it couldn't be used again. Anyone know about this stamp? An independent carrier and postal service competing the German Government? Googling LMF didn't seem to get me anywhere, except to some interesting phrases. Yes, this is a private postal service in Bavaria - Swabia around Augsburg. Try googling imf postal services. I think most of what you find will be in German). Googling LMF postservice(one word) and including Augsburg got me to "logistic-mail-factory"
Should have known, since the soccer player is from Augsburg. They say next working day delivery. Must be Montenegro. They started issuing stamps in 2006, though I haven't run into any of them yet. Butterflies is correct, the stamp is from Montenegro. In the Scott catalog, it is #317(6Jul2012) showing the Verige Lighthouse. It is part of a setenant pair, with the other stamp showing Volujica Lighthouse. Thank you for your help. I will have to look at country up on-line. Please could someone help me with this little question? another stamp, it is called "se tenant" (or "holding itself"). stamp) are actually still joined by their perforations. I'm encountering this little problem in a Bidstart order. They are NOT setenants if they are not still joined. Once separated, they should be called singles. Some sellers will call them setenant singles, to indicate they were part of a setenant. But once detached, they should never be simply called "setenant" without any additional qualifiers. This is why I stated "part of a setenant pair" in my post. Also, two of the same stamp still joined is called a pair, and also should NOT be called setenant.